When Jean-Claude Juncker became President of the European Commission he vowed to make the bloc a global leader in renewable energy. Achieving 20% of energy from renewable sources in 2020 is one of the headline targets of the Europe 2020 strategy. An increasing share of renewable energy is not only necessary to decarbonise our economy and to improve our energy security, it is also ensuring the EU’s position at the forefront of the development of technologies of the future and creating growth and jobs. The EU has been a leading voice in international climate negotiations for years and was once again instrumental in reaching an agreement on the “Paris Rulebook” at the COP24 in Katowice. But fighting climate change is not only about brokering international deals, it is also about delivering at home. 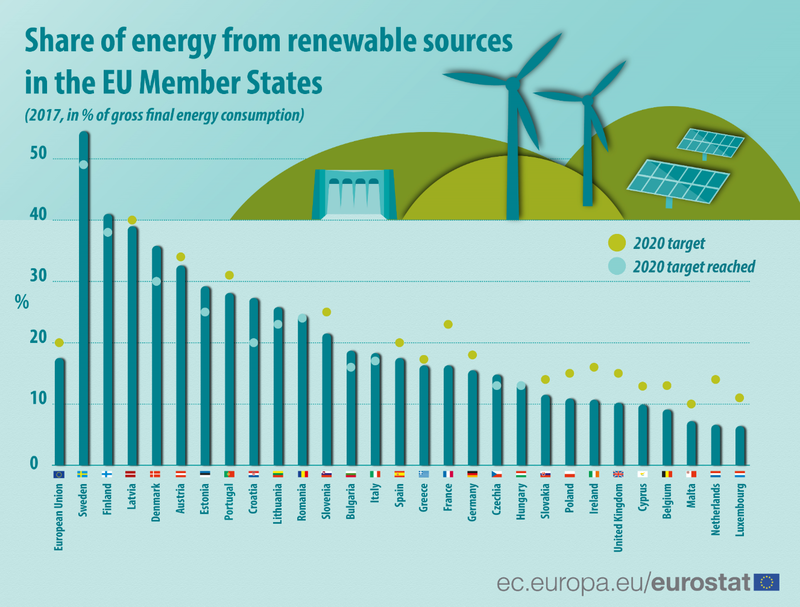 The EU is on track to meet its 2020 renewable target, with eleven Member States already above their national targets. And as Europe heads to become the world's first major economy to go climate neutral by 2050, we will need to step up our efforts. In a climate-neutral Europe, power generation should be fully decarbonised by 2050, more than 80% of the EU's electricity will be produced by renewable energy sources. To get there, the momentum created by renewables for competitiveness, growth and jobs in Europe must continue.